Terminus Audio continues to traverse the globe in search of quality sounds with the latest entry into its robust, quickly growing catalog; this time provided by young German newcomer, DJ/Producer John Wil. Though this is his first official label release, John - who studied at the Subbass DJ Academy in London - shows a production maturity beyond his years with great balance and precision in these tracks. 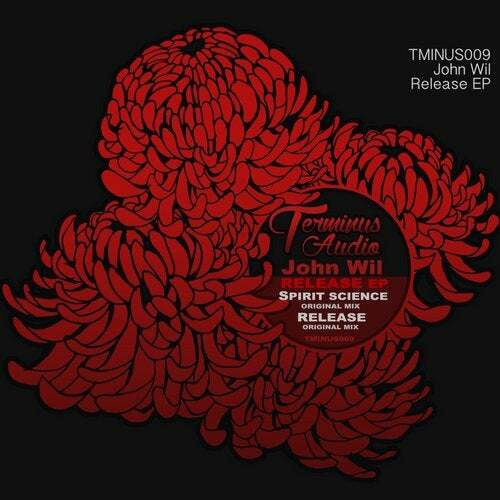 One of the primary creeds of Terminus Audio is giving exciting new artists a level playing field and an opportunity to make an impact; so without further delay - we present the Release EP by John Wil. The EP begins with "Spirit Science" - a tough and stripped down Techno number. This one is all about business; featuring a low, rumbling bassline, simple but effective industrial percussion, clicky hats and crisp claps. Distant, wailing sirens and rolling 909 snare drums keep things interesting as this track establishes it's serious groove. Everything you could want in a straightforward Techno track to warm things up. Next we have the track that caught the attention of label boss Jason Mills; "Release" - a dark, Techno-Trance epic that brings to mind a modernized take on something that Digweed might have driven the masses to madness with in his prime. The hook here is timeless and should translate to any audience. John Wil focuses on that melody here rather than an excess of elements and distractions; gradually building the tension in the track until it results in an extended drop that is reserved for peak time. This is a certified weapon that should find a home in the big room and sets the tone for a changing in seasons for Terminus Audio. Call it a future classic. There you have it... more premium outside-of-the-box Techno music from Terminus and John Wil; a name you will surely see more of on future releases. Where in the world will TMINUS010 find us? Out exclusively on Beatport August 31st.